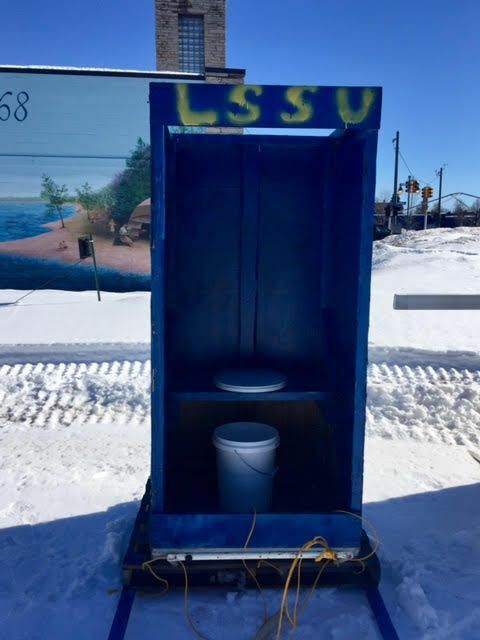 2019 Outhouse Races | Downtown Sault Ste. Marie, Michigan! 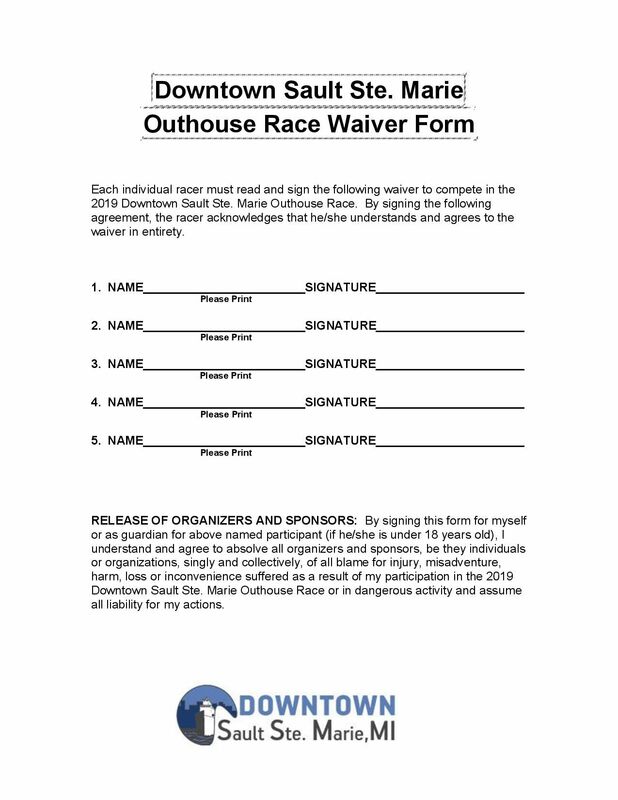 Join us for a rootin’ tootin’ good time as teams compete for trophies and prizes in Downtown Sault Ste. Marie’s 15th annual Outhouse Race event! 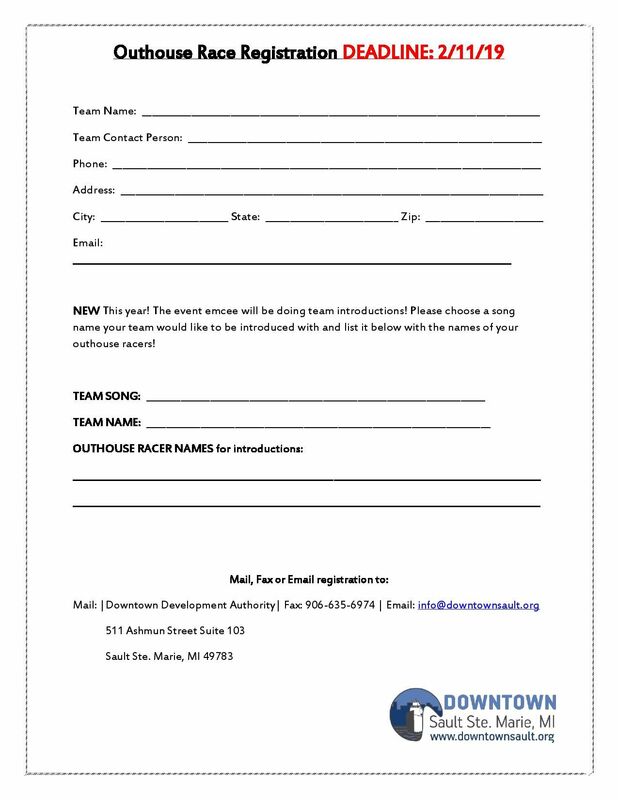 Participate or bring your family and friends to spectate these hilarious races! NEW! 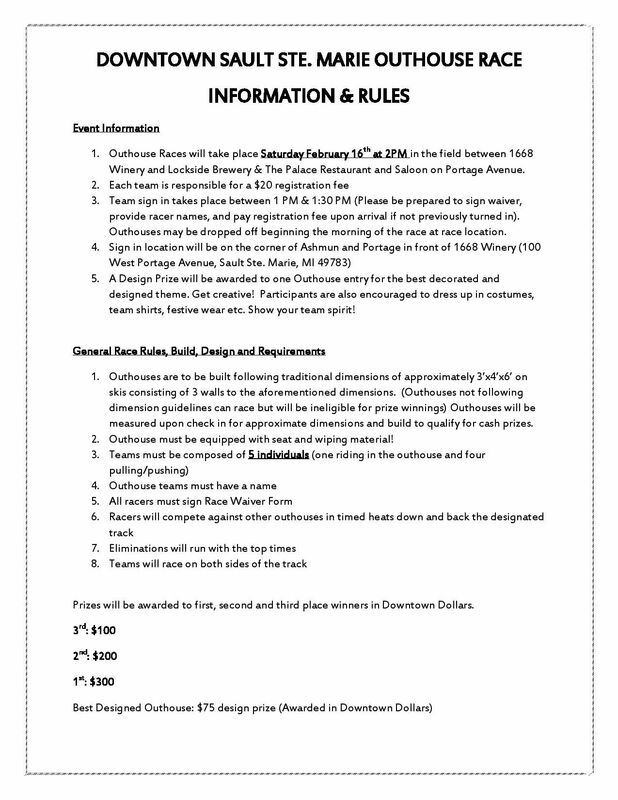 Take part in the first ever YOOPER FASHION SHOW during halftime of Outhouse Races. Dress in your fancy furs, best flannels, Carhartts, and Stormy Kromer’s to strut your stuff down the snowy runway for a chance to be crowned “Most Yoopery Dressed Yooper!”Judging and prizes to be awarded! Don’t miss this jam-packed day of outdoor fun!